Bahrain International Circuit (BIC), “The Home of Motorsport in the Middle East”, announces that the fantastic Early Bird discount currently being offered on tickets to the Formula 1 Gulf Air Bahrain Grand Prix 2019 will end on January 31. With the most popular tickets already selling fast, fans are urged to book soon to avoid disappointment. In the current offer, ticket prices are reduced by up to 15% for the highly anticipated Formula 1 weekend, which takes place over four exciting days from March 28 to 31 in Sakhir. The Bahrain Grand Prix is set to be the second of 21 races on the 2019 FIA Formula 1 World Championship, and it will be the 999th World Championship race in the history of Formula 1. 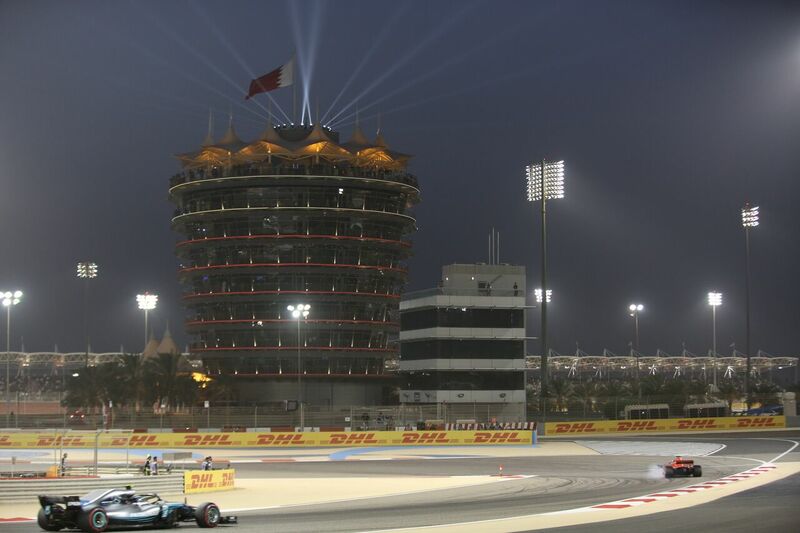 It is being held as part of the landmark 15th season of BIC, and it will also be the sixth time it is taking place under BIC’s state-of-the-art floodlights as a night race, making it one of the most captivating and visually exciting events of the entire Formula 1 season. The 15% price reduction covers four-day tickets on seating to the Main Grandstand only. A Main Grandstand seat now costs BD127.5, instead of its original price of BD150. Meanwhile, there are also 10% discounts on four-day tickets to the Batelco Grandstand, Turn 1 Grandstand, University Grandstands and Victory Grandstands. A Batelco Grandstand ticket for all four days now costs BD108, down from its original price of BD120. There are also Batelco Grandstand tickets for Saturday and Sunday only at BD90 apiece, down from the original price of BD100, and also for Friday only at BD54, reduced from BD60. Furthermore, a four-day ticket to the Turn One Grandstand now costs BD90, reduced from its original price of BD100; whereas University and Victory Grandstand tickets costs BD54 apiece, down from their original price of BD60. These Early Bird discounts give fans the best value for money with so much on offer both with on-the-track action and off-the-track entertainment all weekend long. It is worth noting that BIC has covered the Value Added Tax (VAT) on all Bahrain Grand Prix ticket prices, saving fans from any additional expense to attend the biggest sporting and social event of the year. Tickets can be purchased today at the BIC stand at Bahrain City Centre. They can also be bought online at www.bahraingp.com or by calling the BIC Hotline on +973-17-450000. The prices are amongst the most competitive for any event on the Formula 1 calendar. Aside from Formula 1, the weekend’s programme will also include racing from other major international and regional championships, as well as loads of family entertainment and live performances from A-list musicians, including the world’s number one DJ Martin Garrix on the Friday of the event. For further information on the Early Bird discount or on the Formula 1 Gulf Air Bahrain Grand Prix 2019, visit bahraingp.com or call the BIC Hotline. Also, follow BIC’s official social media accounts on Facebook (facebook.com/OfficialBahrainInternationalCircuit), Twitter (@BAH_Int_Circuit), Instagram (instagram.com/bah_int_circuit) and YouTube (youtube.com/bahrainbic) for regular updates.